The threat of nuclear, chemical and biological warfare! 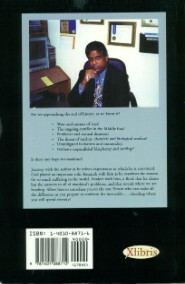 Journey with the author as he relives experiences in which he is convinced God played an important role. Research with him as he examines the reasons for so much suffering in the world. Analyze with him, a Book that he claims has the answers to all of mankind's problems, and that reveals where we are heading. Allow him to introduce you to the one Person who can make all the difference as you prepare to confront the inevitable...deciding where you will spend eternity! 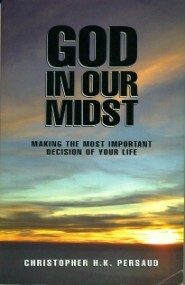 Order a copy of God In Our Midst from www.Xlibris.com/Bookstore today. You can also order from www.barnesandnoble.com, www.amazon.com or from your local bookstore. Click on the HOME tab at top of page for author contact information and to see URLs of author's other websites.